How did you contract the virus? In 1984, when I was in Class 10th, using drugs was considered a fashion statement. That continues to this day in my state, Manipur. I used to share syringes while injecting drugs. That apparently infected me with the HIV virus. Why do Northeast states have greater access to drugs? The reason why drugs are easily available in Manipur and other states in the Northeast is that this region is porous. The supply of illegal contraband into other parts of India, like Guwahati, Kolkata and New Delhi, passes through Manipur. You can readily get your hands on brown sugar, cocaine, heroin and many other illegal drugs. Today, however, many newer forms of drugs have appeared which I am not aware of. The drug problem in Manipur and other North-east states continues to this day and is still claiming lives. What kind of discrimination did you face? When I was infected with HIV, my body started weakening. I was almost dead. In those dark days, all my best friends turned against me. When we passed each other, they would avoid making eye contact and made dirty comments about my disease. None of them have talked to me till now. I was isolated and faced discrimination even at the hands of medical staff. When I went to the Gauhati Medical College and Hospital for treatment, the staff refused to touch me. They did not even provide a proper bed for me. I had to arrange for my own bedding from Imphal. The staff refused to even administer injections or pills. Instead, they would just place it in my hands and I had to do everything myself. That was the level of fear about HIV among even medical staff. How did you overcome depression and what led you on the path to recovery? I spent close to three years in bed, almost giving company to death. That is when my sister brought a Champa plant at home. I saw how watering the plant and nurturing it made it flower so beautifully. That gave me a ray of hope. I decided to make my life meaningful. I started body-building because it gave me confidence, and a sense of purpose and hope. Somewhere in my heart, there was a faint hope that making my body healthy and strong would beat the virus that I had in my body. 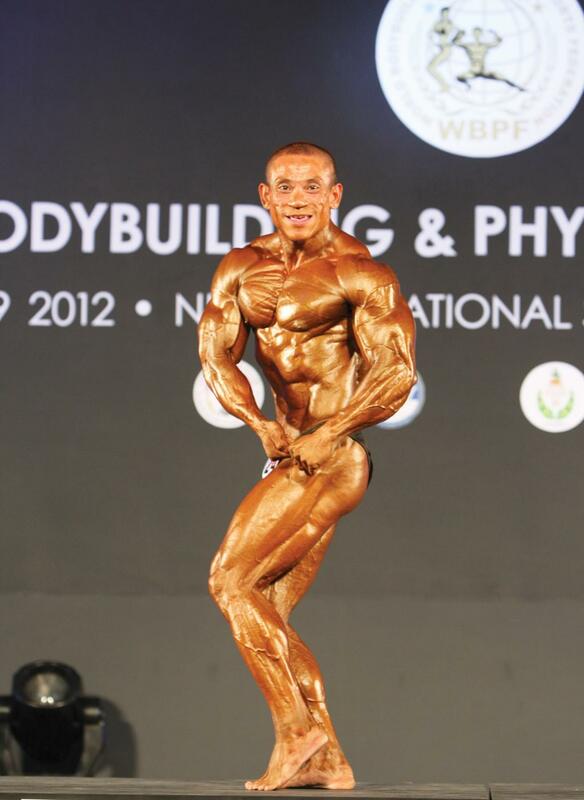 A few years later, one of my younger brothers asked me to take part in a local body-building competition. I did so and have never looked back ever since. Why did you disclose your medical condition in public? Do you think other HIV patients too can disclose and yet remain untouched by discrimination? Why should I be afraid? It is not a sin in the eyes of God. It is just repenting for my own bad deeds. I once read about a HIV positive woman who faced unthinkable discrimination from society. I was deeply saddened. But then, I realised I had to somehow survive. As far as other HIV patients are concerned, whether they should reveal their medical condition in public depends on their personal circumstances. But as far as I am concerned, I did what I did because I wanted to do something for society. My life ended when I learnt that I was HIV positive. But now in my new avatar, I am living so that others should not suffer the way I did. Why does Manipur have a large population addicted to drugs? Is it to do with the unstable political situation in the state? No. I don’t think Manipur’s drug problem has anything to do with insurgency. It is simply because people here, especially the youth, want a fun-filled life with the imaginary “highs”. Do you believe that being a Manipuri has been a stumbling block for not getting as much support as you should got? Yes, I feel that way. In Manipur, the Manipur Aids Control Society has recognised me and made me their brand ambassador. This body comes under the National Aids Control Organisation (NACO), who may have never heard of me. They have never acknowledged me. One of NACO’s objectives is to generate awareness and fight discrimination against HIV patients. I have fought HIV and won. Yet, there is not even a compliment from NACO. I am working as a physical fitness instructor. I will make sure that my students are healthy and fit. More importantly, I will continue to impart the message of awareness—both regarding drugs and HIV.